The cloud can accommodate many different services. After all, the user does not know (nor is it relevant to him) how many servers are working for him in this cloud. If you store something in the “cloud”, you are using a service that communicates with your provider’s servers and stores the data there. 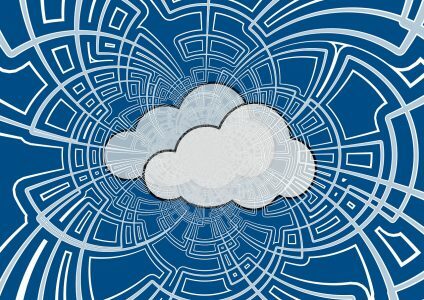 Read more in the article: What is a Cloud? On this page we often talk about your own cloud. It’s not about building a large server network yourself to run different processes. 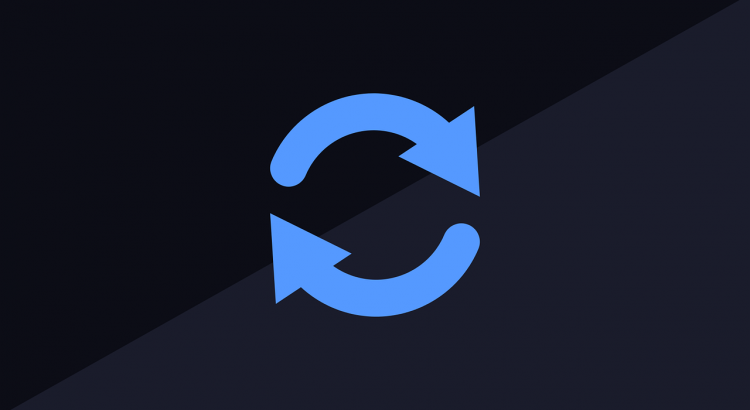 If you are reading this tutorial, you should want to set up your own small server so that you can conveniently store and synchronize your data on it. So all we care about is the storage space in a cloud. The large providers, such as Dropbox, Google Drive, iCloud & Co., have numerous servers and host the files of millions of users. But this also creates some problems. How can you be sure that your files will not be seen by others? How can you prevent secret services from accessing your sensitive documents if you have no control over the servers? The short answer to these questions is: Unfortunately (almost) not at all. You have to rely on these providers. That’s hard. Especially if Google, Dropbox & Co. your servers in the USA or as a US-American company. The population has become more sensitive in dealing with your data since it became known that US authorities can access the servers of large IT companies based in the USA, for example through the so-called PRISM programme. Many of the larger cloud providers are located in the USA: Google with Google Drive, the Dropbox, Microsoft with SkyDrive, Apple with iCloud and many more . Files stored there are often not encrypted. Much in this world has its value and its price. Therefore, you should always ask yourself how a cloud service can finance the gigantic IT infrastructures. There may be services – including US services – that protect your data and offer tariffs with costs for a certain amount of storage. But there are also services that are interested in your data – both cloud service providers and secret services. Let’s say you store private images, reminders and documents in your cloud account that you need to do your job. Do you really want to accept that a cloud service or a secret service can access this data? Doesn’t it feel better if you know that your data is physically stored in your own house? Shouldn’t it be that you have full control over your own data? If your own cloud service were to cost you hundreds of dollars, it wouldn’t be a serious alternative. But that’s not the case. With one of the private cloud services presented here, you can even save money compared to online cloud service providers. The small calculator, which we will present to you in the course of this article, can be placed at your home. So your data is really yours. If a secret service wanted your data, it would have to break into the system or your house. They are no longer dependent on US cloud service providers. It doesn’t matter to you whether the prices of an account with one of these providers increase, because you only pay, as usual, for your access to the Internet, the electricity costs and the one-time purchase price for a small server. You can also distribute the storage space that you have available among different users. This allows other members of your family to enjoy your own cloud server. With a cloud provider’s monthly or annual fee, you get storage space for that period. If the contract ends, you will no longer have access to the storage space. For your own cloud, you only have to pay once (apart from fees such as Internet access, see “Fees”) and then hold something in your hand. If you no longer want to use the cloud, you can use the devices you ordered for it elsewhere. For example, for your own media server or for one of the many other options described in this Raspberry Pi manual*. If you need more than 5 or 10 GigaByte, in many cases you already have to pay at the cloud service providers. So your own cloud is cheaper in the long run. You will need some time to set up your own cloud. With this guide, I will try to give you all the knowledge you need to set up your own cloud. So if you follow this article step by step, you can set up the cloud according to this guide and within a few minutes to hours. However, there should be some basic technical understanding. You will also need to update the software yourself on a regular basis. The control mentioned above is also a disadvantage. You should be aware that the data stored in your cloud is only stored on the memory of the small computer. So if you are broken into or parts of your own server are destroyed, these data are irrevocably deleted from your cloud.The systems recommended here offer basic protection against hacker attacks. But just as it is not impossible to crack an account with a cloud provider, so it can also happen with your own cloud and you are responsible for it. Since your cloud is not as well known as Dropbox & Co. it swims under the radar and is usually not as interesting for hackers. Suppose you have an Internet tariff that guarantees you 16 MBit/s (download) and about 2 MBit/s (upload). So if you upload data to one of the data mentioned above, for example the Dropbox, you can upload it with a maximum of 2 MBit/s. Even with your own cloud, you can upload at a maximum of 2 MBit/s (about 0.25 MegaByte per second), while the cloud could theoretically download up to 8 times as much (16 MBit/s) at the same time, i.e. 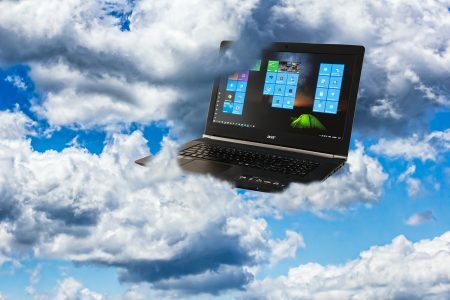 it could receive.According to this calculation, it does not matter whether you use your own cloud or a cloud provider, but the small computer that will serve as your server and the software installed on it is not as powerful as the hardware and software of a cloud provider. Synchronizing with your own cloud (e.g. on your mobile phone or PC) can therefore be slower. In my experience, however, this happens at an acceptable pace. 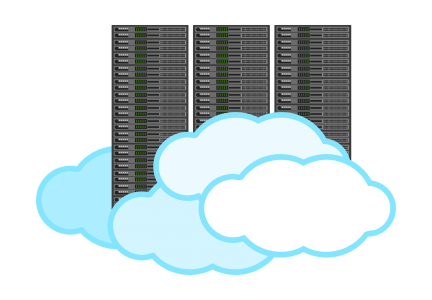 If you want to share content intensively with friends via the cloud, you should rely on a powerful server. For more information, read the article on cloud hardware. You are convinced of the advantages of your own cloud or at least curious? Then let me show you how to build your own cloud and what you need. You need an Internet connection that is active around the clock and a router with a LAN connection. This will usually be the case with you. You must have solid PC skills if you are to follow these instructions. You must invest once in a server system. You will also find the corresponding products on this page. microSD card reader. As a rule, a standard SD card reader with microSD adapter is sufficient. A keyboard – if possible a cable keyboard, because it needs less power. An example of this is this Logitech keyboard*. An HDMI cable and an HDMI monitor. A standard TV with HDMI connection and cable is sufficient. If you do not have access to a cable keyboard, an HDMI cable and an HDMI monitor, you can still set up the Raspberry Pi with the appropriate knowledge (to find out the local IP address).